Jason DeZurik is a leading Christian speaker for students and host of the radio show, Do Not Keep Silent. He has been the morning show host for New Morning Praise on WXML - 90.1FM in Northwest Ohio since January 2015. His reputation for presenting Biblical truth, candid opinions and playful personality have made Do Not Keep Silent one of the most listened to programs on the New Vision FM radio network. 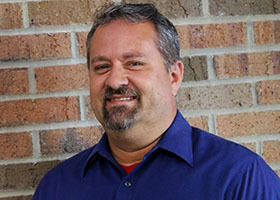 Because he has been involved in youth ministry since 1996, DeZurik is respected as a leading expert on teen spirituality. Jason’s unique blend of modern Christian music and insightful views on student issues has captured the attention of young at heart followers of all ages. DeZurik also speaks at Christian schools, clubs, youth events, and music festivals. He has spoken in over 20 states in the last 5 years. 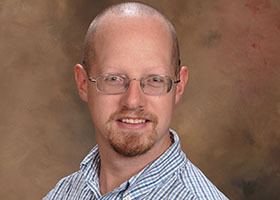 Online, he maintains a strong social networking presence and leads a team of bloggers for Worldview Warriors, the nonprofit ministry he helped found, to equip students to impact this generation for Jesus Christ in 2006. Jason has a passion for speaking to students in a variety of subjects including: Integrity, Hearing and Obeying God’s Direction, Discipleship, Becoming the Man or Woman God has Called You To Be, Forgiveness, Perseverance, Moving From Spiritual Infancy to Spiritual Maturity, and Advancing the Kingdom of God. He is also an expert in the Creation /Evolution Debate, with over 23 years of intensive study and debate experience. These are just a few of the topics included in the discussions on Do Not Keep Silent and with the ministry of Worldview Warriors. Katie Erickson is a native of Dearborn, Michigan. 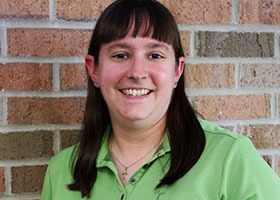 She migrated to Ohio to earn her bachelor’s degree in electrical engineering from Ohio Northern University in 2003, and has lived in northwest Ohio ever since. A lifelong Christian, Katie was called to seminary and began her studies at Winebrenner Theological Seminary in 2007, earning her Master of Divinity degree in 2010 with a specialization in the Biblical languages of Greek and Hebrew. She has a passion for digging into the original languages of the Bible to interpret them more accurately, both for personal spiritual growth and to help others in their understanding of the Scriptures. Katie continues to work in the engineering field, as an electrical design engineer for Ridge & Associates, Inc. in Findlay, Ohio. Aside from her engineering job, Katie has been writing weekly blog posts for Worldview Warriors and has been appearing monthly on the Do Not Keep Silent radio show since 2011. She has taught Biblical Hebrew in a few different contexts, has spoken at a variety of events, and regularly provides pulpit supply services to various churches whenever there is a need. She serves in leadership roles at her church, the Catalyst Church in Findlay, Ohio, and she enjoys spending time mentoring two teenage girls. Katie has a passion and skill for editing, assisting authors in self-publishing their works, and graphic design. Her other interests include crocheting, knitting, anything to do with technology and gadgets, and her pet cats, frogs, and bearded dragons. 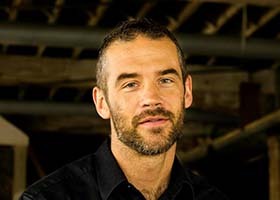 Logan Ames is a speaker and writer for Worldview Warriors since 2011 and he used to appear regularly on Do Not Keep Silent while he was still living in Ohio. He now resides in Dover, Pennsylvania, where he is Lead Pastor for Friendship Community Church, which is affiliated with the Eastern Regional Conference of the Churches of God, General Conference. Logan received life ordination in the ERC on April 17, 2018. Logan grew up in Harrisburg, Pennsylvania and spent many years working a variety of jobs in that area. His family became part of a church-plant from scratch in 1991, helping start Caring Community Church of God in Hershey, PA. He accepted Jesus Christ as his personal Lord and Savior in 1994 and has experienced God's love, discipline, grace, and mercy ever since. Over the course of his time at Caring Community, Logan started and led multiple ministries and took over others. Logan began preaching in the church at 18 years old and felt the call to be a pastor at the age of 19 while already in college with a separate major. He graduated from Harrisburg Area Community College in 2001 with an associate's in criminal justice, and Indiana University of Pennsylvania in 2003 with a bachelor's in criminology. 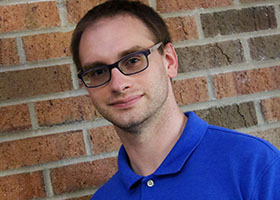 After 5 years of continuing to wrestle with his own fears associated with God's calling, Logan finally made the decision to move to Findlay, OH in 2008 and begin his pursuit of a Master of Divinity degree at Winebrenner Theological Seminary. He graduated with his M-Div., with a specialization in Family Ministry, in 2011. While living in Findlay, Ohio, Logan worked at a local homeless shelter, two different churches, and a local government agency as an investigator for Child Protective Services. God also blessed him with opportunities to preach at many different churches while doing pulpit supply and serve in other ministry capacities outside of local churches. Logan met his wife, Clara, in Ohio and they were married in 2016. They felt the call to come back to PA for the position at Friendship and left Ohio on June 19, 2017. Exactly one year later, on June 19, 2018, Clara and Logan welcomed their first child, Evangeline Myra Ames, into the world. They feel extremely blessed that God called them to be parents in addition to church ministry and they are excited to see what God has planned in their lives as they follow him! Charlie Wolcott is a rising speaker and author out of El Paso, Texas. His greatest passion is to share the truth of the Gospel. He was raised on the mission field helping his parents as they served with International Family Missions for 22 years. He is active in his church and teaches a Bible study group every week. He works as a full-time substitute teacher at a local high school. One of his favorite hobbies is the sport of fencing where he competes and coaches at a local club. He joined Worldview Warriors in January 2014 and is constantly looking for ways to share his faith. He is a graduate of the 11th "Cadre" program from the Creation Truth Foundation where he was commissioned to teach about the importance of having a Biblical Worldview and to defend the faith with apologetics. With that, he has spoken at several conferences, church events, and Christian school assemblies on a variety of topics. When he is not speaking or teaching, he is an author. See his author page at cawolcott.com for details on his books or how to book him as a speaker. Steve Risner hails from a small town in northwest Ohio known as Sycamore—he grew up five miles outside of town, but his mail read “Sycamore, OH” on it. He was raised in an Assembly of God church his entire life (although he dabbled with Foursquare a bit here and there). He currently leads worship and the men’s group at New Beginnings Assembly of God where he also has been an adult leader in the youth group for nearly 10 years. Steve has participated in youth ministry and college groups since graduating from high school. He has a heart for our youth and sees a major connection between the fatherlessness of our nation and many of the problems our youth are facing. Steve has been a practicing chiropractor for over a decade. He first practiced in Seattle, WA and then returned home in 2004 to open his own practice where he and his wife, Michelle, work together. The Risner Spinal Center in Findlay, Ohio opened in 2005. His education in biology and, more particularly, anatomy and physiology have inspired him to study the science of evolution and creation. He’s been involved in the creation/evolution debate since 1993 when he first attended a seminar on the subject. He was 15 and hasn’t looked back since. Steve enjoys music of all kinds and various outdoor activities but his true love—where he finds real enjoyment—is in the lives of his children. He and his wife Michelle have 4 boys ranging in age from 2 to 11 years and they just had their 5th child—a beautiful baby girl. Bill is the second oldest of five brothers in his family. He hails from a competitive athletic background; he played football for seven years and wrestled for twenty years (including a year in college and four years of coaching). Despite his love for athletics, he left the field of competition to pursue ministry opportunities on the streets of Cleveland. 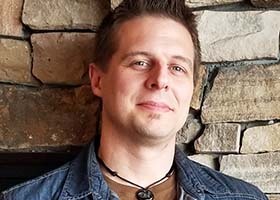 After graduating from Cleveland State University, he pursued his love for ministry by enrolling as a student at Winebrenner Theological Seminary. He graduated with a Master’s of Divinity with a focus in Biblical Studies in 2010 and desires to use his relationship with Jesus and knowledge of the Bible to help people live their lives to the fullest. Nathan Buck is particularly passionate about God's Word. He is driven to preach and teach the depths of God's Word, not just the highlights. The most important thing to him is for people to "get it," to see and understand God's Word in the big picture of its native culture. He believes God painted profoundly rich pictures in the Bible that are meant to impact our hearts, challenge our perceptions, and change the way we live. 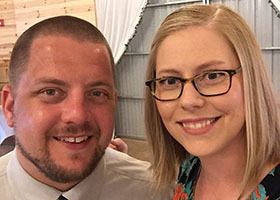 Nate and his wife Alison are church planters, and catalytic leaders. They have been in music/drama/arts ministries, support ministries, local and national level leadership in their denominational “tribe,” and most recently invested 12 years with Nate as the Lead and Founding pastor of a local church. Nate has written peer reviewed theological sections of their denomination’s “We Believe” document, and has served local pastors on the council for credentialing and restoration. He brings the heart of an artist, the passion of an athlete, and the intensity of a 50K Watt light-bulb to his work and teaching. His spare time is spent in his hobbyist business – Yatzar Earthenware - as well as in gardening, roasting coffee, running, bowling, disc golf, and enjoying his family – but not necessarily in that order. He is grateful for the tremendous partnership of his wife Alison and the support of their three children.